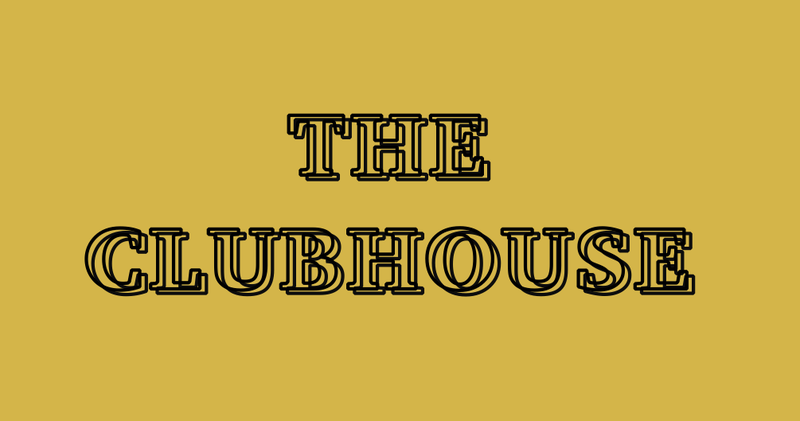 The Clubhouse is a free, open-access workspace for artists, curators, writers and cultural explorers where ideas are generated, supported, and developed through research and conversation. 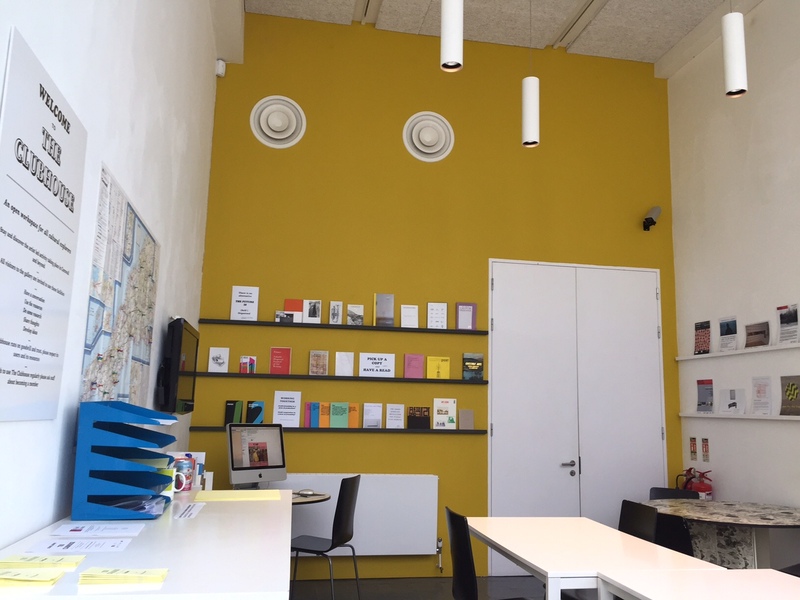 Oscillating between artwork, performance, information point and library, curators’ Cat Bagg and Rosie Thomson-Glover will often be on hand to chat to informally or engage in debate. The Clubhouse celebrates artist led practice in Cornwall and beyond.While The Clubhouse is in residence at The Exchange Gallery in Penzance, each fortnight a different artist led group will be taking over a part of the space; showcasing their activity or testing out new ideas. Throughout December Field Notes are hosting The Clubhouse AGM a programme of talks, workshops and events. The evening will kick off with a round of Pecha Kuchas presented by artist initiators and organisations active over the past 15 years right through to organisations that are still in development. Hear speakers from Back Lane West and Art Surgery through to Keiken and Medium Rare. The Wanderers Book Launch! The Wanderers was a programme of one-off events, installations, performances and talks around Falmouth and the surrounding waterways of the Carrick Roads this summer. The project ran parallel to Newlyn Art Gallery’s international exhibition In Search of The Miraculous and brought together developing artists to create site-specific work that went beyond the horizon in pursuit of new experiences and precarious journeys. Copies of the book will be available at a cost of £8. Followed by CAZBAR a night of performance, dancing and drinks! This is the first night of an ongoing event created by CAZ that will also take place on 12th and 19th of December. Sam Thorne, founder of Open School East and Artistic Director of Tate St Ives, will be coming to The Exchange to talk about artist led practice. The bar will be open for what we hope will be an interesting and insightful night. Come down to The Clubhouse and Engine Room for an afternoon of discussion and making. We will be talking about past projects and the things that can be done to ensure they have a life beyond the duration of an event. Artist and lecturer Alice Mahoney will be holding a drop-in sketchbook/notebook making workshop where people can try out different tools and materials to experiment with and make two sketchbooks or notebooks. There will also be marbling on a grand (and not so venetian scale); testing out DIY marbling materials and techniques. £2 marbling or £8 marbling & bookmaking, on the door. Rosalie Schweiker’s silent presentation, created for Kerri Jefferis and Sophie Chapman’s event: Opportunity Makers, Opportunity Takers, and will be screened throughout The Clubhouse AGM. Rosalie is a conceptual artist who uses social exchanges to find new functions for art in ​the everyday. She has recently been working with Spacex to​ imagine a future art institution. To keep up to date join our mailing list or follow us on Twitter.